Maritime spatial planning is complicated, especially at the transboundary level. It is an on-going process, and its results will be seen in the long term. It requires a smart combination of integrated cross-sectoral solutions created by relevant partnerships. “Maritime spatial planning has become known and recognized. It has moved from ‘if’ or ‘when’ to ‘how’, ‘how soon’ and ‘how much’, in particular, how much closer we can work together” pointed out Haitze Siemers, then Head of Unit for Maritime Policy in the Baltic and North Sea, EC Directorate General for Maritime Affairs and Fisheries at the 2nd Baltic Maritime Spatial Planning Forum 2016 held in November in Riga, Latvia. This type of partnership is represented by the Baltic SCOPE collaboration. Baltic SCOPE unites national authorities around the Baltic Sea actually responsible for the maritime spatial planning, and is supported by four research and regional organizations. In a way, it is a unique cooperation, a learning-by-doing exercise, as the national planning is being done while the project is running. The Baltic SCOPE collaboration serves as a platform for experience exchange and has been implemented with focus on three key aspects: sharing, understanding and adapting. These have been applied at both the national and international levels. The collaboration will not result in a joint maritime spatial plan of the Baltic Sea. However, it facilitates a move towards aligned plans across the Baltic Sea Region. 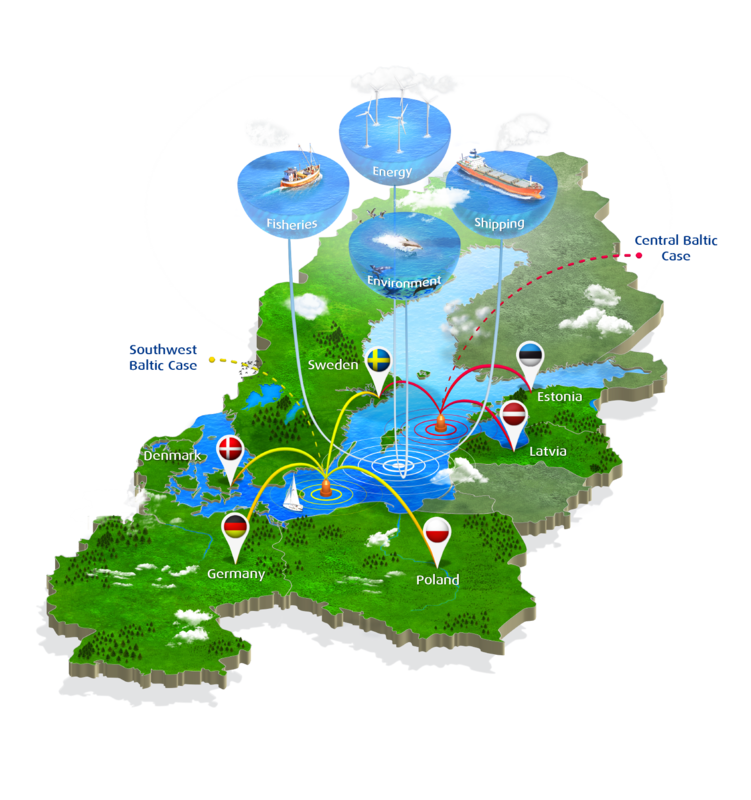 The core of the project is two case studies, for the Central Baltic and Southwest Baltic Sea areas. The work in those two task forces varied greatly, taking into account the different starting points of specific country. Countries are at different stages in the planning process, each has a different governance systems, priorities, unsettled borders, and expectations for the project. There were no common platform for planning and exchange of related information. The project has mapped existing sea uses, possible future needs, current and potential conflicting situations engaging national stakeholders for both sea areas. The project partners also attempted to define planning criteria for mapping sector interests nationally and across the borders, as well as discussed data and information exchange hence making next steps towards improvement of information availability for cross border planning process. The analyses were done keeping in mind and screening the on-going processes in relevant international institutions, such as ICES, IMO, ENTSO-E, VASAB and HELCOM. The Baltic SCOPE partners have worked through and learned a lot from each other in each phase of the project. 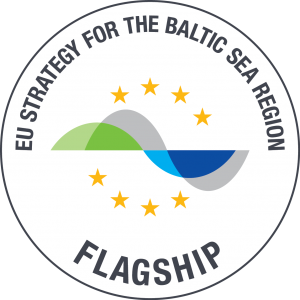 The project is now in its concluding phase – a phase that has been facilitated by the collaboration’s final conference – the 2nd Baltic Maritime Spatial Planning Forum 2016, where the first findings of the two year collaboration were presented. The realization of importance of transnational and pan-Baltic mind-set is crucial to set the foundation for working in the cross-border project, especially in the maritime spatial planning phase before the year 2021. The understanding of the different planning systems can only be guaranteed by personal involvement and direct communication, but not by browsing national home pages related to maritime spatial planning issues. 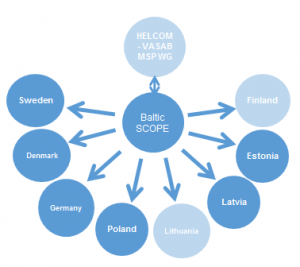 The cross-sectoral integration became the most innovative element of the Baltic SCOPE collaboration. The partners were seeking for the synergies between the chosen sectors – energy, shipping, environment and fisheries. Due to this exercise the synergies between specific sectors were strengthened, especially with environment. The next step: to make better national plans. Although the results of the project will not be finalized until March 2017, partner countries have all the time been filtering the knowledge they have gained back into their national planning processes. Project results were fed directly into the countries’ planning process. Among the countries participating in Baltic SCOPE is Denmark, where the national planning process was in a preparatory phase for most of the Baltic SCOPE project. A change in government, a transfer of authority for maritime spatial planning and new staffing on the coordination of the national maritime spatial planning process all occurred during Baltic SCOPE’s timeline. This created a need for learning about maritime spatial planning as a general practice, and Baltic SCOPE provided a platform for the new Danish authority to learn from the other countries in the project and to draw their best practices into a new Danish maritime spatial planning implementation plan. The project further provided a platform for putting Denmark’s sector authorities for shipping, fisheries, energy and nature in contact with their respective colleagues in neighbouring countries – contact that was enriched through identifying shared approaches and understanding of sector needs. This contact is expected to be a key foundation for Denmark’s international maritime spatial planning coordination going forward. In Latvia, project activities contributed to the draft national maritime spatial plan at the final stage of the national planning process. The involvement of national stakeholders in transnational discussions improved their understanding of their role and a motivation to become active participants in maritime spatial planning. Moreover, bringing them together helped to widen their perspective beyond the national borders and added important transboundary aspects to the draft national plan e.g. Latvian and Estonian Maritime administrations have discussed and corrected mismatched shipping lines. It is rewarding to see that the 2nd Baltic MSP Forum with its interactive workshops and range of participants from 32 countries gave a great deal of inspiration to continue working together and looking for new opportunities to overcome the challenges of the maritime spatial planning process. Also, other countries that are not part of Baltic SCOPE have expressed their interest to collaborate and adopt the results of the project. The outcomes of the 2nd Baltic Maritime Spatial Planning Forum 2016 are already available on the website. The project is contributing to an active exchange between MSP practitioners not only within the Baltic Sea Region but also beyond, and contributing to a process of knowledge brokering between research and MSP practice. 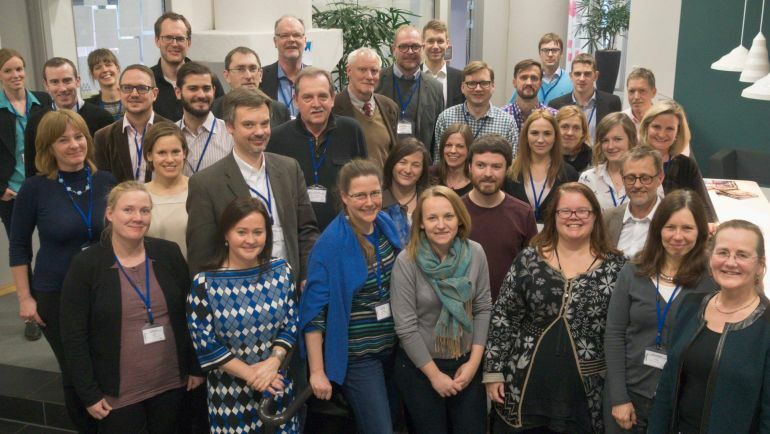 In the Baltic SCOPE project, Maritime Spatial Planning authorities and Regional Sea Organisations in the Baltic Sea Area came together for the first time to find the planning solutions to transboundary issues and improve the Maritime Spatial Planning processes. The main goal of our collaboration was to come up with common solutions of the cross-border maritime planning leading to greater alignment of national plans. To achieve the goal, two MSP cases were performed, encompassing the Baltic Sea’s southwest area, which affects Sweden, Denmark, Germany, and Poland, and the marine area between Estonia, Latvia, and Sweden. Both case studies focused on how shipping traffic, energy production, fishing, and environment function in these areas and how they can compromise. The high and rapidly increasing demand for maritime space for different purposes, such as installations for the production of energy from renewable sources, oil and gas exploration and exploitation, maritime shipping and fishing activities, ecosystem and biodiversity conservation, the extraction of raw materials, tourism, aquaculture installations and underwater cultural heritage, as well as the multiple pressures on coastal resources, require an integrated planning and management approach. Maritime Spatial Planning (MSP) is an essential instrument for the efficient management of maritime activities. It ensures that any such activities are sustainable and in line with ecosystem approach to marine management. The European Commission has adopted the MSP Directive (23 July 2014) which main purpose is to promote consistency and coherence of maritime spatial plans across marine regions. This emphasizes ongoing cooperation across borders and mechanisms that facilitate the exchange of best practices. Such cooperation is not easy to establish. Compared to other European sea basins, MSP is already relatively well developed in the Baltic Sea region. HELCOM and VASAB are strong regional organisations with an interest in sustainable development, and the joint HELCOM-VASAB MSP working group has developed a regional set of MSP principles and adopted the Regional Baltic MSP Roadmap 2013-2020, which – among others – foresees to develop guidelines relating to MSP governance as well as regular reporting by countries on their MSP development. Maritime Spatial Planning is also a horizontal action of the EU Strategy for the Baltic Sea region, and drawing up and application of transboundary, ecosystem based maritime spatial plans by 2020 has been identified as a target for the Strategy. The involvement of the authorities for Maritime Spatial Planning in the Baltic ensures accountability for the results of the project and makes sure the outcomes are incorporated in national maritime spatial plans.